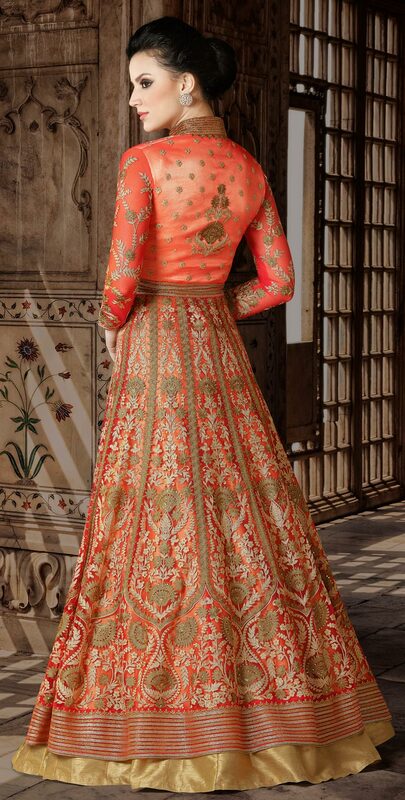 True beauty will come out of your dressing style and design with this orange designer suit. 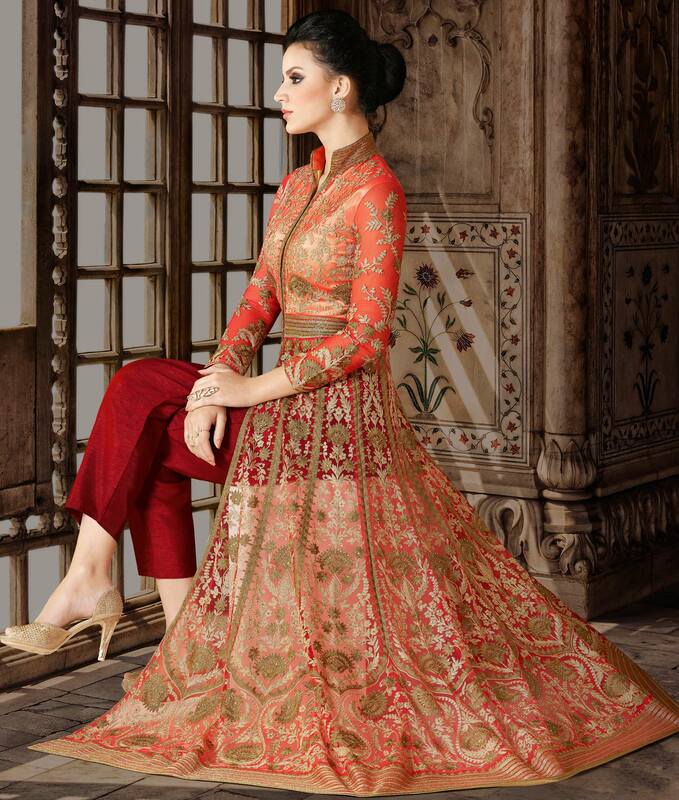 This beautiful suit is prettified with embroidered on premium net fabric which makes it appear classy. Available with santoon fabric lining, with banglori silk bottom and net dupatta. Women can buy this ethnic dress to wear for their upcoming functions and occasions. Team it with ethnic accessories to make your looks more beautiful.